If you are missing one or more teeth, you might wonder what your options are for replacing them. Full dentures are only appropriate for those who have no remaining healthy teeth. Individual implants, in which each implant supports a single crown are a possibility however are cost-prohibitive for many people. Partial Dentures are the usual solution, restoring your smile and providing the ability speak and eat normally, however with so many different types of Partial Dentures to choose from it can be confusing. Your Dental Prosthetist will provide some professional recommendations, but ultimately the choice is yours. The most common type of removable Partial Denture consists of high-quality replacement teeth on a rigid cast metal frame. Less expensive Cast Metal Partials attach to the existing teeth with metal clasps, however precision attachments are usually preferred for aesthetic reasons. 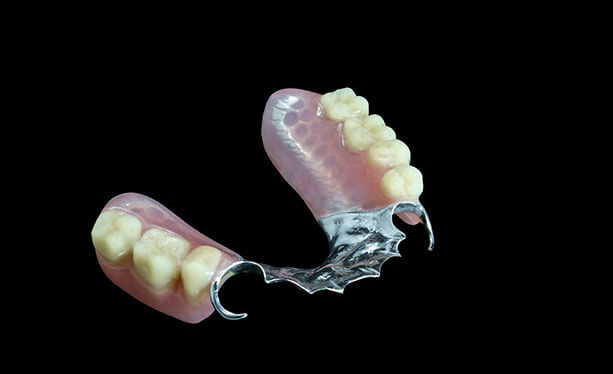 With proper care, a cast metal removable Partial Denture can last for many years. 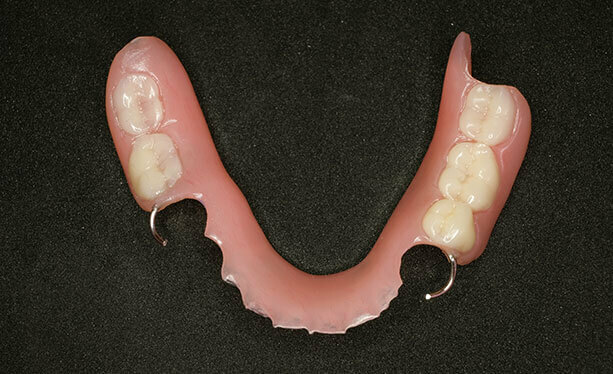 Often referred to as a “flipper” an Acrylic Removable Partial Denture is generally considered less optimal than a cast metal partial. The main reason is that the replacement teeth are set in a pink acrylic base that must be thick and bulky to minimise the risks for breakage. A flipper is attached to your natural teeth with metal clasps which may be visible during talking and smiling. Most people are able to speak and eat fairly normally with a flipper, however the bulkiness can be aggravating. This is generally considered a temporary solution, used as an interim device while a more permanent restoration is created. Flippers are the least expensive Partials and some people successfully use them for years. 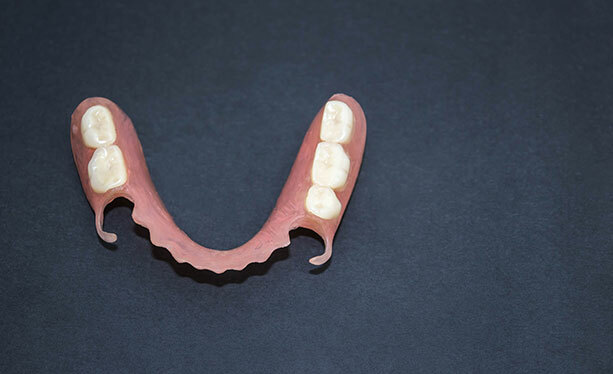 If you experience discomfort from an acrylic or cast metal partial, or if you are allergic to acrylic, a Valplast Flexible Partial Denture might be a better solution for you. Made from a thin, heat sensitive type of plastic, a flexible partial is both comfortable and highly realistic in appearance. Flexible partials are attached with a thin, gum coloured clasps that fit into the natural spaces around your teeth. 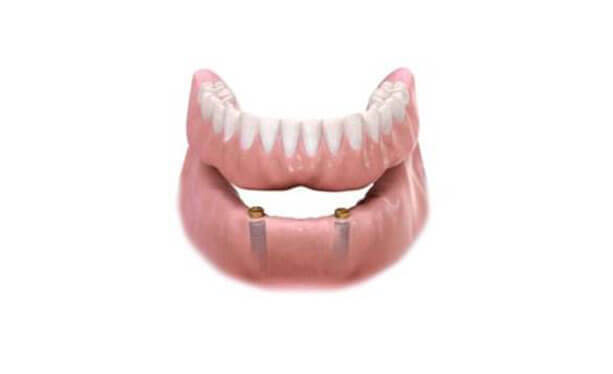 Flexible Partials are a little more expensive than flippers and are also considered a temporary option but they are durable enough that some patients wear them for many years. Given their lightweight they are less bulky, with great aesthetics, generally more comfortable and quite popular with patients. If you are missing too many teeth for a fixed bridge, or do not want to damage your existing healthy tooth structure, an implant-supported Denture might be the best choice. Dental Implants are small posts made of biocompatible titanium that replace tooth roots. Instead of natural teeth, the Denture is supported by a series of Implants. In fact if enough implants are placed, this type of bridge can actually replace a full arch of teeth, eliminating conventional Full Dentures. Like a traditional fixed bridge, an Implant Retained Denture is placed permanently rather than being removable. Although the initial investment is high, an Implant Retained Denture can last a lifetime. Partial Dentures come in many different varieties, and there is no single best option. You and your Dental Prosthetist will work together to choose the option that best meets your budget, goals and individual dental needs.